Standing on a floating dock in Dolphin Isle Marina , I realized immediately this photo session would be a challenge. Things were already bobbing up and down and I was still on the dock. My mission – photos and video footage of a rowing trip. I planned to submit an article to the Fort Bragg-Mendocino Coast Packet for print and post on MaryGo for screen. Dusty Dillon at the sweep oar. People began to arrive. Like me, some were clueless, others went to work preparing the Helen Dee for departure. Dusty Dillon, our coxswain, instructor, sweep oar, entertainer and all around wonderful guy arrived. His larger than life persona is a delight. His knowledge and gentle manner for teaching and coaching instilled confidence immediately. We were instructed in the necessary skills and terminology needed to get things moving. The eight individuals at the oars were a mixture of experienced and first timers. Myself, and another lady were passengers in the front of the craft, but we were facing the back. In a human powered wooden boat, on a glorious Saturday afternoon, the eleven of us set out of Dolphin Isle Marina, down Noyo River, through the Noyo Harbor and under Noyo Bridge. The Pacific is only a mile from Dolphin Isle. Along our route we experienced calm serene waters in Noyo River. The cries of ospreys provided a sound track punctuated by the calls of ravens, gulls, water fowl and songbirds. Seals swam and played within a few feet of us. Noyo River is held in place by canyon-like ridges and cliffs. This majestic area is a mix of woodlands, docked boats and dwellings. The abundant river and fertile forests are home to 100’s of birds, mammals and amphibians. The serenity soon gave way to the lively harbor and wharf. Fort Bragg is a fishing community. Much of the wharf is used by commercial fishing boats bringing in salmon, cod, rock fish, crab, sea urchins and lots more. The low slung prospective from Helen Dee reveals this commerce in a way not visible from shore. We rowed past restaurants, lodging, boats of every description and commercial fish processing. All along accompanied by natures flying and swimming residents. As we approached the inlet conditions changed. The wind was blowing out of the west and the water was a bit choppy. 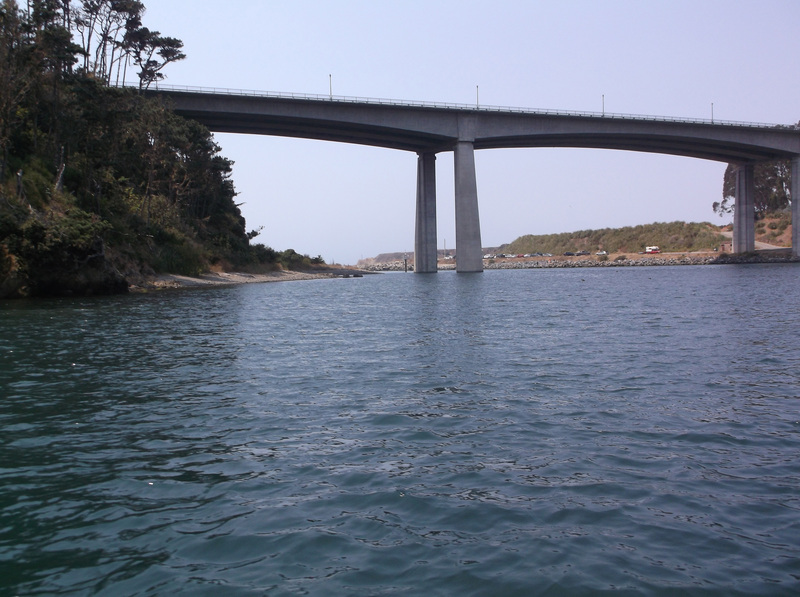 We went under the iconic Noyo Bridge and turned around at a channel marker. At this point Dusty demonstrated how we could sail in a rowboat. Oars were taken out of the water and laid horizontally across the sides of the boat. Paddles were turned into the wind. We were sailing with the help of the tide and wind. Very graceful. Returning the way we came, we rowed back to calm water and Dolphin Isle. Dusty entertained us with sea ditties. I felt beyond lucky to be enjoying this view and traditional form of transportation. A fantastic trip and a successful photo shoot. My second trip took place on an overcast, grey Thursday morning. Jason Island was our coxswain and leader. His quiet confidence is contagious. This trip the oars were experienced rowers, I was the only novice in the group. Again, I was a passenger and photographer. Because this was an experienced crew, little time was spent teaching basics. We got underway and followed the same course as my first trip with Dusty. 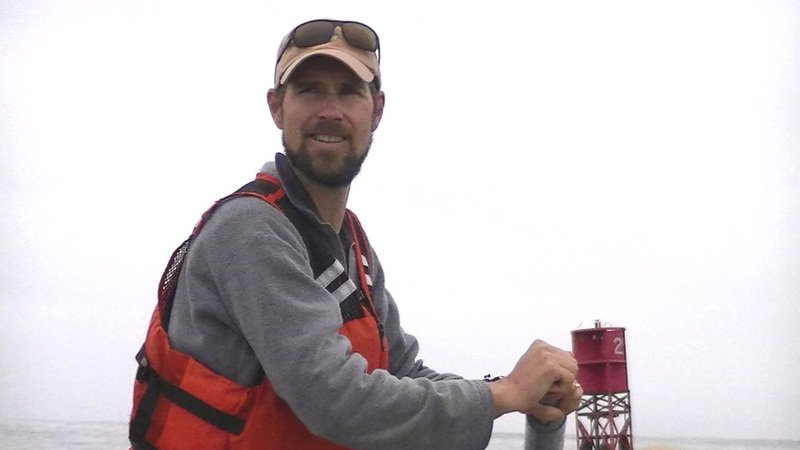 The difference – we didn’t turn around at the channel marker – we went across the rough Noyo Bar and out into the Pacific. We seemed so small out there. The boat pitched up and down at a moderate pace. Larger boats passed us by. Sound seemed magnified as we passed fog horns, channel markers, boats under power, sea birds and seals. All around was grey sky and water. Our white and blue boat must have stood out against the monotone vistas. At our turn around spot the oars were pulled in and we drifted a bit. It was peaceful. The crew was quiet, we relished in it for a time. As we were coming back into the harbor fishing boats were headed out. I felt proud to see so many boats going out to work. Then it was row, row, row, back through the inlet, through the harbor, up the river and back to Dolphin Isle. As with my first trip I had the privilege of being a photographer. I saw and recorded such beauty. Sights and sounds from nature and from man. A trip worth taking. I was the Queen of the Nile. You Can GO Rowing – FREE! “The Traditional Small Craft Association, Inc. (TSCA) is a nonprofit educational organization which works to preserve and continue the living traditions, skills, lore, and legends surrounding working and pleasure watercraft whose origins predate the marine gasoline engine. It encourages the design, construction, and use of these boats, and it embraces contemporary variants and adaptations of traditional designs.” ~ from TSCA web site. The Lost Coast TSCA and its members work with locals, visitors and groups such as the Boy Scouts to provide educational experiences and support to TSCA’s mission. They are hoping to one day open a maritime school for youth in Fort Bragg based on the Teaching With Small Boats Alliance (TWSBA) curriculums. 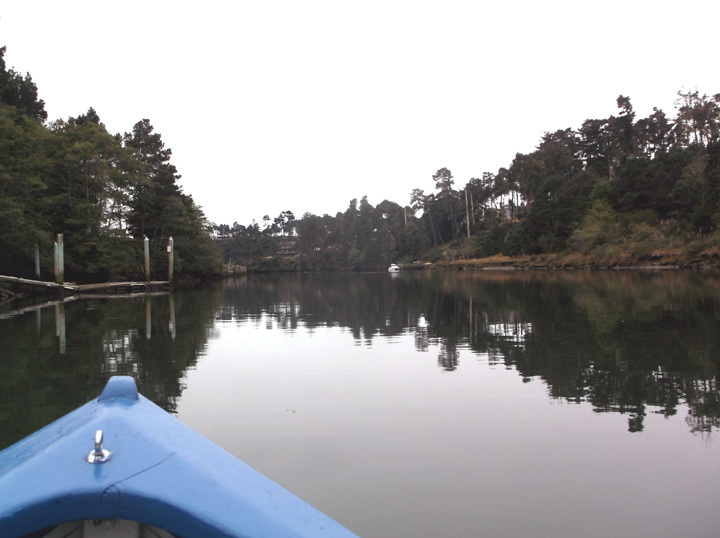 In Fort Bragg on Thursdays and Saturdays, the Lost Coast Chapter of TSCA take inexperienced and experienced people together on rowing trips. Originating and returning to Dolphin Isle Marina, the excursions are directed by coxswains (person that directs the boat) with years of maritime experience. 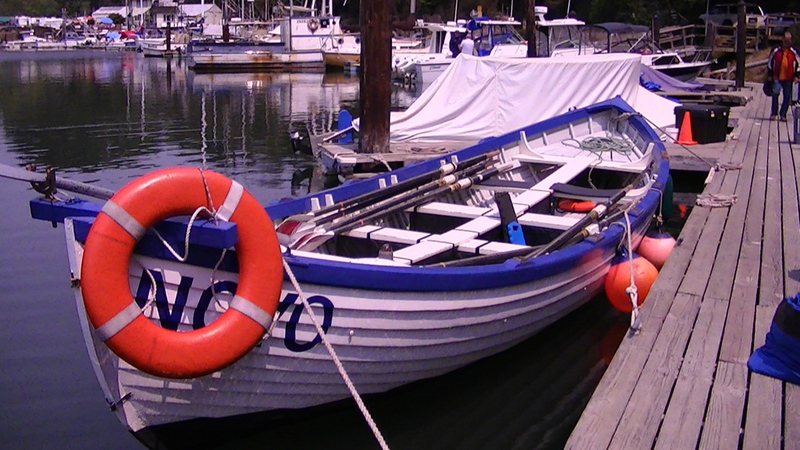 No need to worry if you’ve never handled an oar, Dusty Dillon or Jason Island will provided through instruction in the use and safety of all gear. Terminology, tradition, coaching and maybe even a sea ditty are part of every trip. Some outings GO just under Noyo Bridge and return. 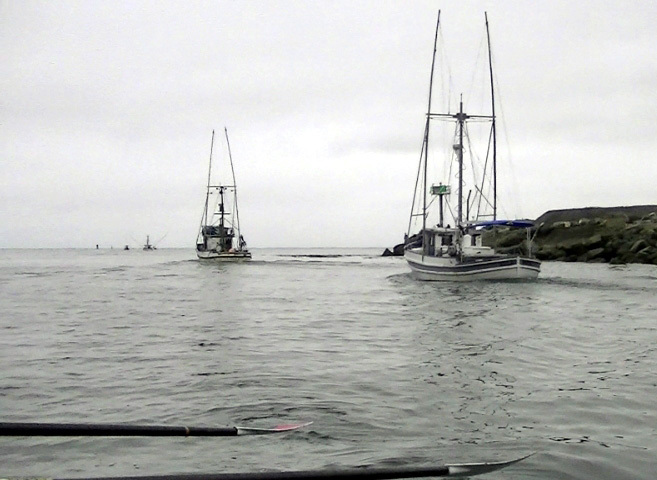 Others venture out the inlet into the Pacific, around a seal covered buoy and back. The slow pace of rowing and the low slung vessel delivers a matchless prospective of Noyo River, wildlife, the commercial wharf, other boats, folks on shore, the inlet and Pacific. The best part of it all – your first trip is absolutely free! First timers will get a sense of what rowing is about. If you decide to take up rowing with TSCA on a regular basis you are asked to join. An annual family membership is about $40. Thursday’s trip, led by Jason, departs at 10 AM. Saturday’s trip leaves at 1 PM with Dusty at the sweep. Both excursions are 1 1/2 – 2 hours. You can arrange a rowing trip for yourself or a group. 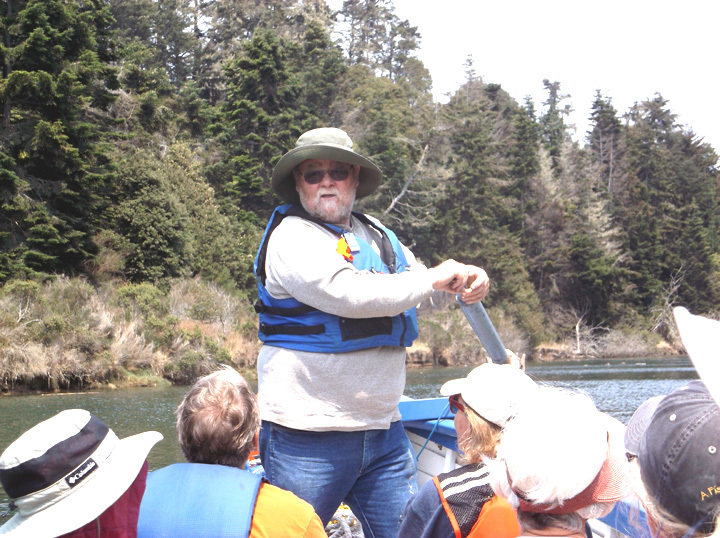 To make a reservation and get directions for your rowing adventure, call Dusty Dillon at 707-964-2612. Fascinating reading, extremely well written, beautiful photos. If only I lived closer I would learn to row. Thank you Phyl for your kind words. Where do you live? Looks like total fun! As the photographer. Too much work rowing! Haha. Great videos and post!